Job Title:Production Manager Exciting opportunity for an experience Production Manager to oversee manufacturing at an international site for a UK-based OEM. Location:Leyland, North West. This role will involve 2 weeks working in Chennai per month Salary:£25k - £30k (dependent upon experience) Bluefire Consulting are recruiting for a Production Manager to increase efficiency and manage manufacturing and production for a highly successful Leyland-based OEM at their factory in Chennai, India. Exciting opportunity for an experience Production Manager to oversee manufacturing at an international site for a UK-based OEM. 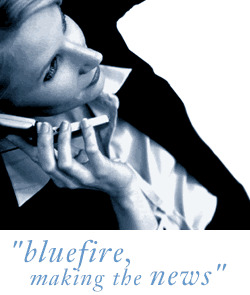 Bluefire Consulting are recruiting for a Production Manager to increase efficiency and manage manufacturing and production for a highly successful Leyland-based OEM at their factory in Chennai, India. The Production Manager role will involve working 15-20 days per month in Chennai with accommodation, transportation and chauffeur provided. 1-2 days per month will be working at the Leyland head office and you will have the rest of the month off. If you are an experienced Production Manager who is looking for a new, exciting opportunity to make a big impact in a renowned company this is the job for you. You need to be enthusiastic about the product and implementing change within an organisation to see increased efficiency and have previous work examples to demonstrate your skills. Happy to travel overseas and experience a different culture as the Production Manager you must have excellent organisation, man-management and communication skills to compliment your practical experience. Any background within automotive production or manufacturing would be seen as an advantage. Owing to the nature of the Production Manager role a full UK driving licence and valid UK passport are essential. This is a great opportunity to make a big impact as a Production Manager within an organisation whilst experiencing working within a different culture. The company is a well-known automotive manufacturer who has a reputation for high quality products and the Chennai location is their main manufacturing site. Currently remotely managed the factory has an excellent reputation in the area and the client is always looking at ways to invest in the local community, something the Production Manager will also influence.